Villain hunter #CSIRuby , Wife, Perpetual traveller, Optimist, Wine lover, Sewing goddess, Cyclist, certified foot-in-mouth sufferer, Mostly just a geek in high heels. Ruby is a small-town girl who traded the mountains and farms for the big city lights in an attempt to follow her dreams. By day (and mostly by night too) this workaholic catches villains as #CSIRuby. Her superpowers include Insomnia, OCD and juggling life with at least one foot firmly stuck in her mouth. 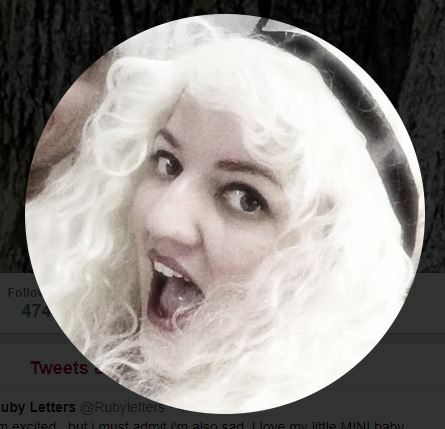 Fiercely independent and strangely optimistic, Ruby loves shoes, wine, gadgets, traveling, knives, cars, tractors, music, poetry, sushi, dancing and spending time with her Gypsy. In her spare time she pretends to be able to cycle, creates magic with her ouma’s old sewing machine, tries to learn new languages, takes part in random roadtrips and cultivates her deep love of music. She secretly loves button bashing with the help of her PS3 and is currently obsessed with creating the perfect home made pasta. While wrestling through life’s issues, catching the bad guys and talking far too much on Twitter, she dreams of being the girl with the most wine, shoes and chocolate.